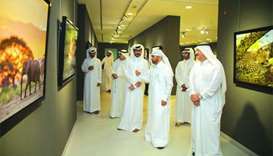 His Highness the Amir Sheikh Tamim bin Hamad al-Thani visiting Qatari artist Ahmed al-Maa'adid's exhibition "6/5". 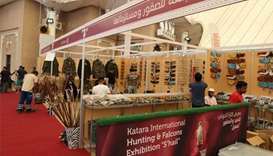 The Katara International Hunting & Falcons Exhibition – S’hail 2018 has received praise from the exhibitors for its high standards and evoking interest among visitors. 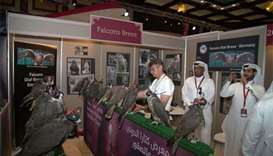 The second day of the ongoing S’hail 2018 - Katara International Hunting and Falcons Exhibition witnessed visits by dignitaries and ambassadors. 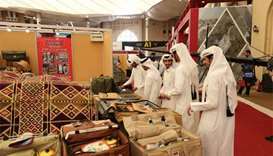 HE Sheikh Abdullah toured the exhibition that is spread across different pavilions of participating companies displaying products and accessories related to hunting and falconry hobby. 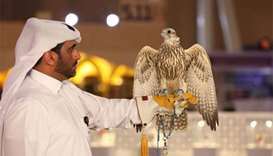 The exhibition will also offer daily lectures on falconry and breeding falcons, delivered by experts in the field. Over 150 companies from 19 Arab and foreign countries to take part in S’hail 2018. The exhibition, titled “African Safari”, displays pictures of wild animals and nature, selected from the photographer’s collection of his safari trips in Africa. A panel of judges will evaluate applications and choose “the most distinguished applicants” in the country. 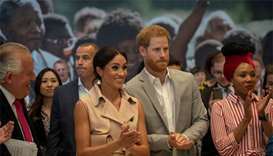 The Duke and Duchess of Sussex met friends and family of the anti-apartheid campaigner who died in 2013. Towar al-Kuwari said this year’s edition of ‘Made in Qatar’ aims to open new channels between Qatari and Omani companies. 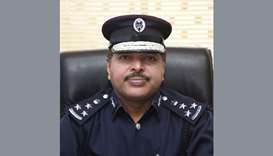 Milipol Qatar has completed its extensive roadshow across major global industry events to raise awareness of the 12th edition of the leading international exhibition dedicated to homeland security and civil defence in the Middle East, which will be held in Doha from October 29 to 31.